Welcome to New York City, circa 1899. 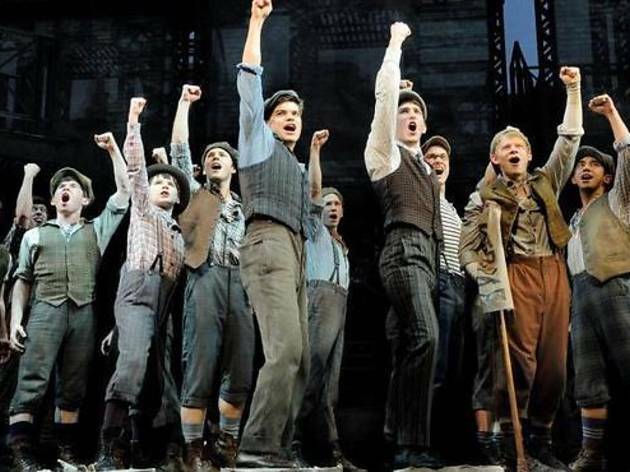 Fed up with their poor pay and miserable living conditions, the local newspaper boys (aka newsies) are finally rising up. Based on the 1992 film of the same name (starring Christian Bale), this book-to-screen-to-stage tale revolves around young delivery boy Jack Kelly’s struggles and dreams. 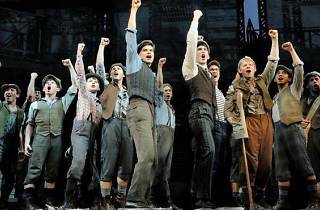 Leading many other newsies (who are often homeless and orphaned), Kelly takes it upon him to change things before leaving for Santa Fe. Behind the successful two-week strike, you’ll find a classic format (underdogs vs. the powerful suits), upbeat songs (including hits such as “King of New York”, “The World Will Know”, and “Once and For All”), and a heartwarming story. Recommended for ages 6 and up.